Seven brilliant sunrises, seven breath-taking sunsets, 80 locks, 26 lock-keepers, 158 kilometers, 35 French villages, seven Americans and countless memories. 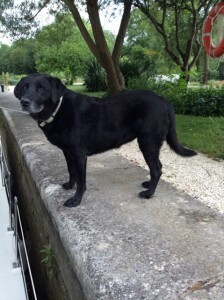 This was our boating holiday on the “canal de Bourgogne,” or Burgundy Canal, in central eastern France. 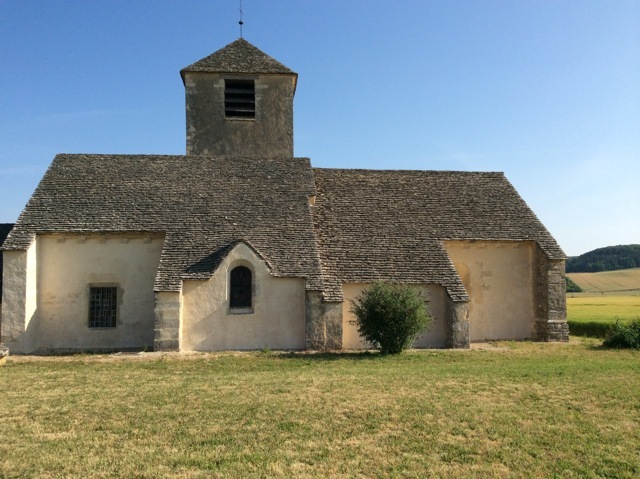 We started in the village of Venere, meandered to Tanlay and returned one week later to Venere on summer solstice. 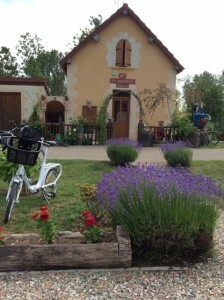 We sailed into tunnels of trees with backdrops of green meadows and past vineyards and Charolais cows. Singing birds awakened us each morning, and croaking bullfrogs serenaded us each evening. The moon was our night light. Mooring posts were available near every village, and when we chose to stop in the countryside, ropes and metal stakes secured our boat. Three people served as our crew (one at the wheel and two on shore to secure ropes fore and aft), but often other docked boaters sprung to the task. 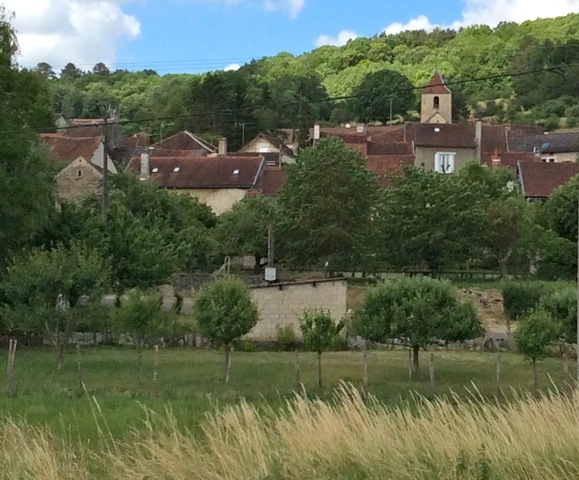 Three of our group were French speakers — a definite plus in the small villages on this route. 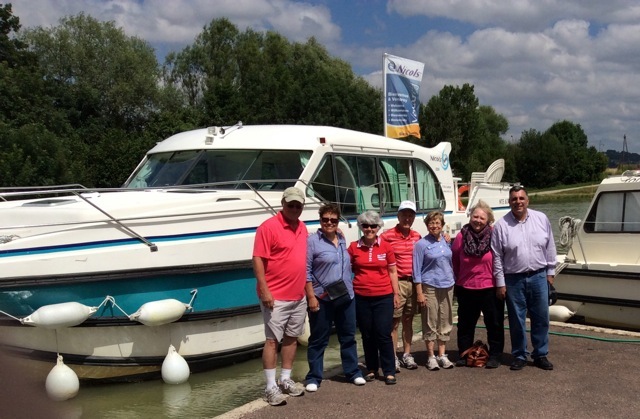 The trip’s highlights included the beauty and tranquility of Burgundy (straight out of an 18th century French painting); the friendliness of the French all along the way; the interaction with other boaters — French, German, Dutch and English; the fresh bread, croissants and pastries from village “boulangeries,” or bakeries; the “Galettes,” which are French pastries; the Burgundy wine; the lock houses (every one was photo-worthy); the 12th century church at Chassignelles with its roof of four layers of stacked shale and remarkable murals; and the well-preserved, furnished Abbey of Fontenay, a 12th century chalet that was occupied, but unharmed, by German soldiers during World War II. 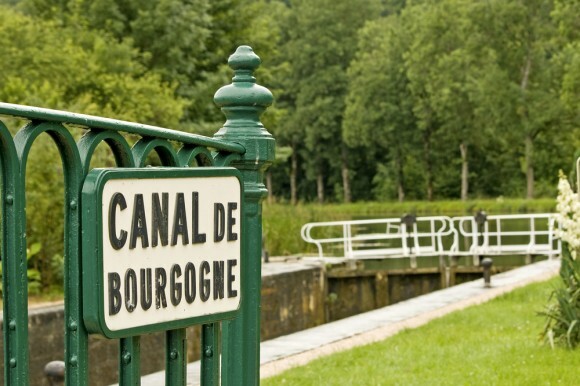 The Burgundy canal system was started in the late 1700s and completed in 1832. The locks still retain their old world character and charm. Lock gates are opened and closed with hand cranks, so water trapped inside quickly rises or drops to the needed level. 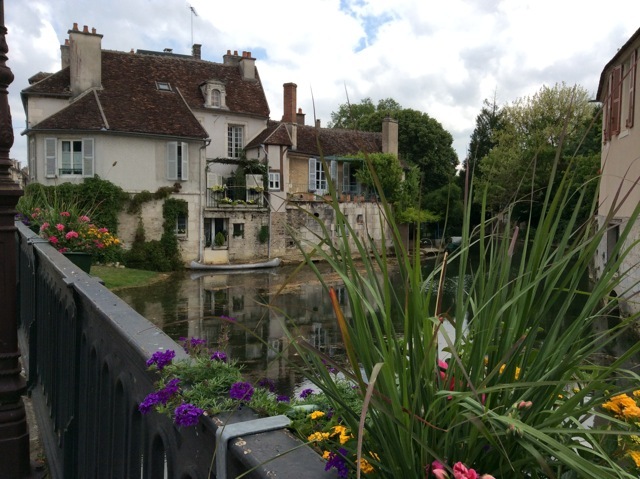 In this part of Burgundy, locks are managed by lock-keepers, available from 9 a.m. until noon and 1 to 7 p.m. Most lock-keepers manage two or three locks and shuttle back and forth by bicycle, moped or car. These locks offer great photo opportunities of delightful, helter-skelter gardens and flower boxes brimming with colors and blossoms. At Lock No. 82, there was a hand-crafted wooden rack of homemade marmalades, coffee and pastries to go. Lock No. 87 offered bottles of Burgundy wine and glasses of sangria and delightful garden art created by a lock-keeper with a lively, whimsical imagination. Friendly dogs and curious cats greeted us at most stops, and families of ducks often paddled alongside. 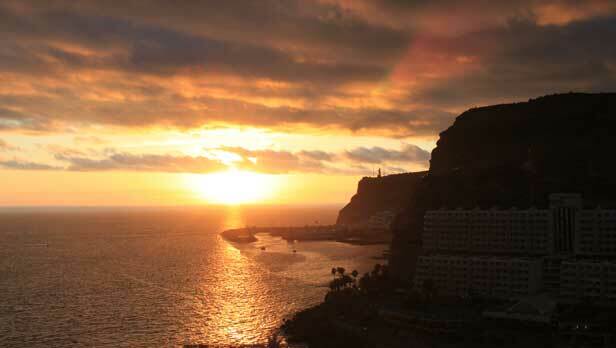 We booked our cruise through Nicols; other companies offer similar packages. Our boat had four bedrooms, each with a private bathroom (marine toilets and hand-held showers), a small but efficient kitchen equipped with dishes and cooking utensils, and a lounging deck on each end — adequate and comfortable for seven. Total cost was €3,100 plus an additional €300 for fuel. Early-booking discounts are available. Bicycle rentals are available at the embarkation point. Story and photos by Sandy Paige, Contributing writer.